For a fun and fascinating introduction to Mozart’s life and works, watch the movie Amadeus, which swept the Oscars in 1984. 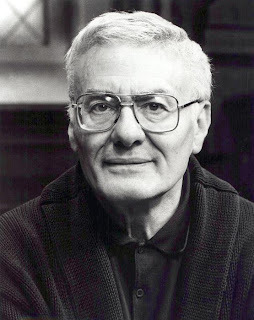 Amadeus began life as a drama by British playwright Peter Shaffer (left), who terrorized audiences in the 1970s with the psychological thriller Equus (the Broadway production of which, starring Harry Potter and Uncle Vernon, just closed). I remember being gripped by a production of Amadeus (the play) which I saw as a little boy: spooked by the opening whispers of “Salieri!” Salieri!” “Assassino!” hissed around the theater, and traumatized (I had nightmares for years!) by the silhouette of the cloaked death-figure with the tricorn hat that rises up with the fatal chords from Don Giovanni. In the early 1980s, the Saul Zaentz company asked Shaffer to turn his drama into a screenplay and hired British conductor Neville Marriner and his Academy of St. Martin-in-the-Fields to record one of the greatest film scores of all time. 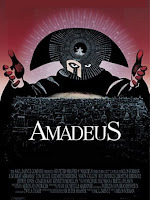 Amadeus isn’t really about Mozart, it’s about another talented composer in late eighteenth-century Vienna, Antonio Salieri, who (in the fiction) is driven to madness by his jealousy of Wolfgang Amadeus Mozart. Mozart’s middle name, which means “Beloved of God,” signifies to Salieri that the God in whom Salieri trusts and believes prefers Mozart, a far more immature and obnoxious person than Salieri, yet gifted by this God with an extraordinary musical genius. F. Murray Abraham gives the performance of a lifetime as the maniacal Salieri, and Tom Hulce delivers a bizarre and hilarious Mozart. Below, the scene in which Salieri describes his experience of attending the first performance of Le nozze di Figaro. 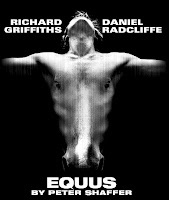 Amadeus mixes fact with fiction to create a compelling work of art. Here, though, are some footnotes, for those who care to sort out reality from fantasy! The fabulous costumes, glorious scenery, and thrilling music are all accurate representations of the sights and sounds of late eighteenth-century Vienna. Baron van Swieten. One of Mozart’s Viennese patrons was a humorless aristocrat who championed the cause of Baroque music and invited Mozart to become a Freemason. Schickaneder. 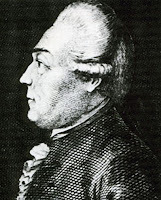 The man who wrote The Magic Flute for Mozart was a rascal who ran a small theater in the suburbs and played Papageno in the first performances. Mozart and his family. Shaffer makes much of Mozart’s immaturity and his troubled relationship with his father. Both their personalities are well-documented in their letters, and Shaffer’s portrayals are by and large accurate. 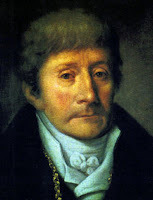 Antonio Salieri was indeed Mozart’s rival; during the 1780s he was the most important composer in Europe, only to be completely forgotten by the 1820s. But he never tormented or killed Mozart, despite the testimony of many besides Shaffer. Mozart died of typhoid fever. The worst Salieri ever did was to try to get Rosenberg to perform his operas instead of Mozart’s. Mozart’s Requiem. Although a mysterious emissary from a great lord did commission Mozart to write a Requiem, it wasn’t Salieri pretending to be the Messenger from God. It was an eccentric Austrian nobleman, Count Walsegg, who wanted Mozart to write a Requiem that Walsegg could pretend he had written. Mozart died before finishing his Requiem, which was completed by a student. What a wonderful blog! Please keep it going. In Figaro the lead male singers are a bass and a baritone ... and the tenors only get the most minor male roles. This seems to be contrary to what most people expect in an opera - is there a reason for this choice? Is there a "standard" version of the opera: I know Mozart re-wrote parts of the opera for the Prague performances: is this version used of is it the Vienna version - or is there another version? How did the opera come about - was it commissioned? How did Mozart and da Ponte collaborate - did they get on? In know there are cases where the composer than librettist couldn't stand each other. Why is Figaro considered to be the "perfect" opera - I don't disagree with this sentiment but I would like to know if it truely deserves this title. Thanks for reading, and for your great questions. 1. That's an interesting point, but tenor-as-hero is a nineteenth-century phenomenon. Mozart uses protagonist tenors in his other Da Ponte comedies (Ferrando and Ottavio), but in both cases the tenor voice indicates a dreamy, romantic soul, and neither Figaro nor the Count would qualify. In serious Italian opera of the time, the hero might very well still have been a castrato. (Belmonte, Pedrillo, Tamino, and Monostatos are all tenors, but in German singspiel at the time that just meant they were young and full of fire. 2. Yes, and more revisions for a Vienna remount in 1789; but the important question of 'version' of Figaro today is really "How much are you cutting?" Truckloads of recitative are often cut, and very few opera companies present the opera complete with the Act 4 arias for Marcellina and Basilio. They're nice arias, and if you have strong singers it's good to showcase them; but it's usually very late at night by that point, and the audience wants the story to keep moving! 3. Evidence is scanty, but we think it was not commissioned. 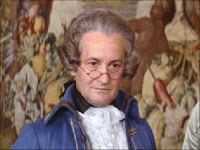 We also assume that Mozart and Da Ponte got along very well, BECAUSE THERE'S NO EVIDENCE OF ANYTHING!!! No letters, no memoirs (except Da Ponte's notoriously untrustworthy ones), nothing. Presumably they spent so much time together in person, working on their operas, cracking each other up over a bottle of wine, they didn't feel the need to communicate in any form that would survive. 4. Is FIGARO the 'perfect' opera? I'll leave that up to you readers to debate! I don't know if it's the "perfect" opera either. But I know that it's one of my two most favorite.